Thanks David! Appreciate the exposure. Wrapped in a Rainbow had been a work in progress for many years. I completed the first draft about five years ago. I didn’t query agents but quite naively started sending out letters to some of the largest romance publishers such as Harlequin. The results were so disheartening that I ended up shelving away the book. All the major publishers would not even consider an unknown author or look at anyone’s work that wasn’t represented by an agent. Last year, I read somewhere about many new opportunities opening up to be published in e-book format. I decided to edit my book and started to query smaller publishers. There was some interest and then rejection, but to my delight I got a positive response from a publisher in July! Club Lighthouse Publishing sent me such positive feedback after they sampled my first three chapters that I had to go with them. They are also a Canadian publisher that likes to publish local authors so that helped to cement my decision. 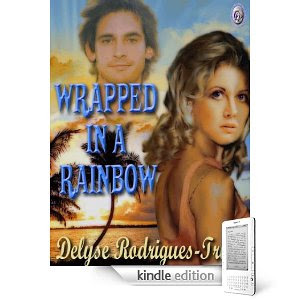 The cover for Wrapped in a Rainbow was designed by artist T.L.Davison through Club Lighthouse Publishing. I looked over some of the other covers that were done and stated which style of cover I admired. I then gave the artist an idea of what the main characters should look like and she took it from there. I am quite pleased with the cover. Well, my husband wanted to be my first sale which was very sweet, but I was quite embarrassed when my editor emailed me to say that I didn’t have to buy my own book! Again I was quite naïve thinking that once the book was placed out there in many different outlets then people would just be buying it up! Months later I realized my folly and decided to promote. I was on Facebook and assumed that all my friends and family would buy it right away but there were only a few that did. 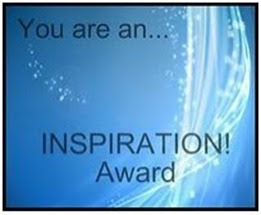 I started learning from other authors where to promote and so I now have a web page and promote on different websites. Yes, I am lucky in that way. My publisher has my book listed with Mobipocket, Fictionwise, Diesel ebooks, Cyberread and All Romance. I am currently writing a teen/young adult mystery in a similar vein as the NancyDrew/Hardy Boys books that I read and enjoyed while growing up. After that I had an inspiration to write a suspense/romance about working in the medical field which I did for many years. I’m not sure which one you mean. The first-ever one? Or the first one that’s still in print? Or the first of the Untreed Reads e-books? On the other hand, I don’t suppose it matters. The journey began with a number 2 pencil with a chewed-on eraser, a school tablet with lines on it, and the words “It was Spring. There was a horse.” I was in elementary school, though I don’t remember for certain how old I was. Eight or nine, maybe. I’d been reading for a few years, and decided to write a story. That was it. I’m sure that book was Nobel Prize material, but…*sigh*…it was lost before the Nobel committee ever saw it. I wrote on and off during all my working years and family-raising years, until about fifteen years ago when I decided it was my time to get serious. I write in whatever genre—if I even have any—that my story tells me it is. I just write them. I don’t question them. I never know how to label them, anyway. My two novels (The Phoenix, and Counterpoint: Dylan’s Story) are gay Victorian love stories, but not because that’s what I planned to write. That’s just what they turned out to be. My short stories, which Jay, at least, thinks are good, are all over the place genre-wise. About the only thing most (but not all) of my unfinished novels have in common is that they are historicals. For the novels, I had an agent who vanished, and more recently one who might as well have vanished. Then I gave up trying to find one. On my own I found Alyson in the 90’s, Lethe in 2009, and Dreamspinner in 2010. I never queried agents or traditional publishers for the short stories. I don’t know of any agents who represent short stories. I just wrote the stories because I wanted to, told myself I wasn’t good at them and was just doing it for fun, and filed them away. Then Jay, bless his pea-pickin’ heart, decided to publish. I’d known Jay for a number of years and had the utmost respect for him as a reviewer of e-books. When he went into publishing, and was willing (unlike most publishers) to consider stand-alone short stories, as opposed to short stories for an anthology, I jumped at the chance. I had short stories and no place to send them. I sent them, he liked them, and… here we are. There’s no need for me to be involved in the ebook covers. I know nothing about digital art (other than the old joke “I don’t know anything about it but I know what I like”) and Jay has an artist, Dara, who creates beautiful covers for the Untreed Reads books. I have no complaints at all about the covers I have had. 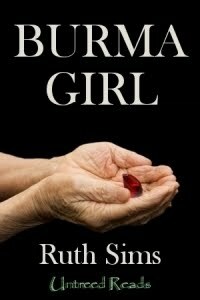 I especially love the one for Burma Girl. No. I’ll leave all the e-book stuff to Jay, who understands the process and knows what he’s doing. He’s tireless at getting new outlets to carry the books, and I believe that the UR stories are available for all, or nearly all, existing ebook readers. I admit the whole thing’s a mystery to me. Every sale is exciting! And I always look forward to the possibility of hearing from another new reader. I’m not very good at all that, but I’m trying to become better. Yesterday I found a blog I started on Blogger and had forgotten about, so I’ll try to use it (not that anybody will see it! ), I have a LiveJournal (ditto) and I started a GoodReads account. I have a website (www.ruthsims.com) and a wonderful webmaster who updates it for me. I have a Facebook account, but like the others, I don’t quite know how to get any benefit from it. (I told you I was hopeless at promo!) 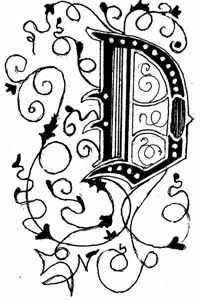 I belong to several Yahoo groups and the Dreamspinner Author group. But basically, I muddle along, envying those who really know how to promote and hustle. Well, not having a crystal ball I can’t say with any certainty. I certainly don’t expect it to replace print publishing in my lifetime or even my grandkids’ lifetime. But I think print will become less and less viable unless there is more recycling of paper done. It takes decades to grow a single tree. And even though I dearly love my print books, digital publishing makes the most sense economically and environmentally. The biggest problem I see with ebooks is the piracy issue, and there doesn’t seem to be any end in sight to that kind of outright theft. Jay just released my latest short story, Burma Girl (my favorite) and will very soon release one called Song on the Sand, that was inspired by my love for the play La Cage aux Folles. I have a couple of other ideas for short stories/novellas, one of them being a YA creative nonfiction about Sojourner Truth. In July Dreamspinner Press is releasing my second gay Victorian love story, Counterpoint: Dylan’s Story. There are six others in various stages of “doneness” from half-finished to fewer than a hundred pages of meandering. Thank you, Debra, for the chance to get the word out about my short stories! It’s been fun. 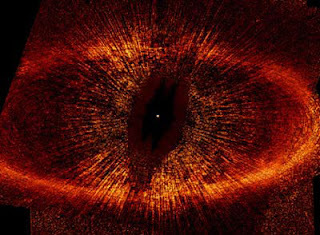 This is the whale's eye star and cluster as seen by the Hubble Telescope. I see a dragon's eye. What do you see? 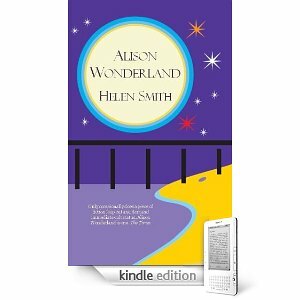 It took me a long while to write my first book, Alison Wonderland. I was working full-time and taking care of my daughter. I wasn’t very good at shutting myself away and just getting on with it – I always felt guilty, as if I should be taking care of someone or something else. But I believed that I could write an entertaining, thoughtful book and that I could write it in a way that no-one else could. So I did get on with it and in the end I finished it. The honest answer is that I went with the first agent who called me – I didn’t appreciate at the time how fortunate I was to get her as she’s Head of Books at one of the most prestigious agencies in London. My agent guided me to the right publisher for me at the time. When my backlist went out of print I had the rights reverted to me and I published them myself. It has been such a positive experience that I have just published my new book, The Miracle Inspector, direct to Kindle. The print edition will be out in September 2010. Did you design your cover art? How involved were you during the creative process for your cover? I gather it’s a standing joke at traditional publishers that you should never let the author near the cover design because any suggestions they make are likely to be ludicrous. Obviously, if an author is hugely successful they’ll have some input if they want it, otherwise the author is supposed to let the experts get on with their job while they get on with writing. For the new editions of the books, since I was the publisher, I was involved in the design from start to finish, with help from artist/designer friends. The funny thing about being published traditionally is that you don’t know how well sales are doing until you get the sales reports – though you can look on Amazon and the sales rank might give you an indication; I remember with Alison Wonderland I got to no. 31 or something for a few hours one night. That was very exciting. 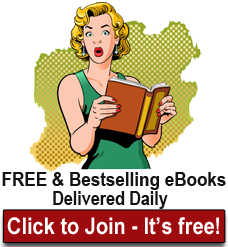 When you publish yourself on Kindle, you can check the sales figures every five minutes if you want to – and, in common with many of my fellow Indie authors, I’m afraid to say that’s often what I do! I put Alison Wonderland up for sale in the Kindle store in March and nothing happened for a few days. I was suddenly overwhelmed with the realization that this was not going to be easy – how would anyone find my book? I left a couple of posts on the Kindle forums, went out – and when I came back, I saw I had made six sales. Wow! It was a very gratifying feeling. I have found three fantastic resources to interact with readers – the Amazon Kindle forums, the Kindle Reader forums and the Mobile Read forums. 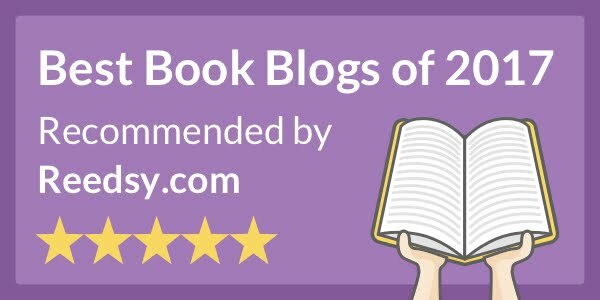 You can post news about your books and find deals, news and information about other authors’ books – I have found some interesting reads this way. I’m also on LibraryThing, Goodreads and Shelfari. I have Twitter and Facebook accounts but I use these to interact with friends, family and (in the case of Twitter) anyone I find fascinating, rather than as an opportunity to talk about my books. I have had a blog for three years and I try to make my posts as entertaining and interesting as possible. It may sound odd to anyone who doesn’t have a blog but I have made a lot of friends this way – anyone who has been on any of the forums I mentioned will understand what I mean, they’re very friendly places. They’re currently available on Mobipocket and direct from Tyger Books but I have a distribution deal in place that will ensure they’re soon be available from every major ebook retailer – Barnes & Noble, the ibookstore, Waterstones, WH Smiths, etc. I’m writing another novel, I have a short play on in London, I have a TV series in development and I’m editing an anthology of writing. Thanks for the opportunity to share my experiences. I’d like to wish you all the best with the books and the blog. Briefly describe your journey in writing your short story. Over the past couple of years, I have written a number of short stories, although mostly for my own benefit. My professional life centers around very technical literature (I sell lasers for a living), and so in my down-time, to give myself some balance, I’m either reading fiction voraciously, or trying my hand at creative writing. Most of my short stories have been born from music. I’m a very auditory person by nature, and I’m very moved by music. Many times, story ideas come from the mood of a particular song that strikes a chord in me (no pun intended). Ironically, “A Summer Wedding” was conceived in a very different way. I was tooling around various writing websites, and one of them (I can’t remember which), had a “Story Starter”. It gave me the first few words of a sentence and four words I had to incorporate into the story. I remember very clearly that the first few words were “The wedding was”, and I also recall that at least two of the words that I had to incorporate into the story were “washing machine” and “beekeeper”. At first, I balked at the idea, but I decided to give it a try, and within an hour I had the first draft of “A Summer Wedding”. Within a week, I had revised it to the version that is now for sale. A funny thing happened during the week of revision. I realized that, rather subconsciously, the story was an allegory for the stages of love. It starts with a rather idealized childish sort of infatuation, and by the end of the story, the relationship has matured from one of youthful fascination to something more profound. As I realized the more universal theme that was woven into the story, I found it much easier to sharpen it into a brief but poignant story that, I think, can resonate with anyone who has experienced love at any level. I never intended to write a romantic story, but somehow, that’s what “A Summer Wedding” turned out to be. When I’m reading, I tend more towards horror, suspense and science fiction. I do dabble in that with my writing, but I find myself gravitating more towards real-life drama. Usually, my attempts at other writing in these other genres have a tendency to fall flat, but nevertheless, I’m working on a supernatural novella right now that I’m very excited about. I know that some writers revel in fantasy because there are no rules to the kinds of worlds that are created, but to a certain extent, I find myself overwhelmed by that. I think as I grow as a writer, I might be able to tap into the discipline required to create a world entirely unlike our own. We’ll see. What, you mean other than the fact that they were the first to respond with an acceptance? Actually, I like the idea of digital publishing. I think that, to a certain extent, there is less overhead, and because of that, digital publishers have a tendency to maybe take more risks than traditional publishers. It means that more of us amateur writers get a chance to expose our works to the light of day. Shocked. Delighted. 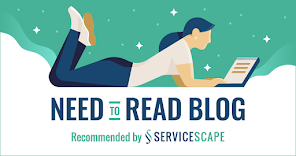 I never actually dreamed that someone might someday read one of my stories and say “Wow, that’s actually pretty good!” When I received my acceptance email from Jay at Untreed Reads, I initially thought it had to be a mistake. However, as I worked with K.D. and Jay on finalizing my story for publication, they helped me appreciate that there was a good deal of intrinsic worth in the story, whether they know it or not. Yes, and no. I don’t think the book will ever entirely disappear. I think an appropriate analogy is the vinyl record in the music world. While digital music is ubiquitous in our society and fast becoming the dominant format for music, there are still those out there who appreciate buying an album on vinyl and listening to it on their turntables, crackles and all. And there are artists who still produce music on vinyl. I think that traditional “paper and glue” books will stand the test of time, but their place will one day be among collectors and enthusiasts, while the general masses will eventually forsake them for more convenient media. I’ve got a few more short stories that I’m currently polishing for submission. However, the lion’s share of my writing time at this point is devoted to a Novella (or hopefully a series of them) centered on a mysterious protagonist that I have dubbed “The Deleter”. The Deleter concept is actually inspired by my love of the “Repairman Jack” series by F. Paul Wilson, as it involves mostly modern-day, real-world action and drama, with a generous helping of the supernatural and a even a dash of more esoteric Biblical History. This is a more long-term project, so I’m sure I’ll publish some more short stories in the interim. 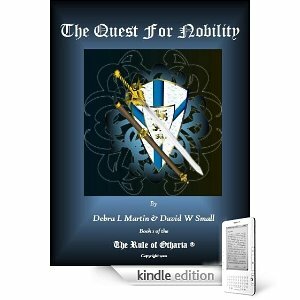 For the briefest of moments [3 hours this afternoon], QUEST FOR NOBILITY, broke into the top 100 [sub-category] today and I have the evidence to prove it. Voila! "I got a sale, I got a sale! Yipee! Yahoo! You like me - you really like me!!" It's strange how Amazon ranks books because we didn't have that many sales [fewer than 5], but we must have been the best selling ebook in the high tech category for that span of time today. So, fellow readers, feel free to pop on over to Amazon and check out the book. Who knows maybe someday we'll have to have a youtube video of the happy dance....I'm sure I could get a lot of authors to join in! Well, Debra, this is my first independently published book, but not my first book. I have had two books published traditionally prior to this. Both are non-fiction, spirituality books published by two of the major religious publishers. In this new book, Angels on My Stage, The True Story of Eddie Benitez with Conversations with Gabriel, a different path was taken. First, as a writer I wanted to break out of the religious publishers “ghetto” if you will, and be published in a mainstream way. I no longer fit that niche in any case, as I have moved on from religion (as in institutions, organized groups) and embrace spirituality now. Secondly, this book is co-authored with Eddie Benitez, and he is a major recording artist. As a guitarist he is legendary in the Latin Jazz world, and now is producing some amazing World Music. Angels is his memoir first, with me as his writer. The latter part of the book, the section Conversations with Gabriel, is then told in my voice, as I was witness to these “conversations” along with Eddie. So in the memoir portion I am his scribe. In the Gabriel portion, I tell the story in my own hand, of the angelic communications we received. Eddie’s other area of expertise is with the spirit world, and he was featured on the Discovery Channel’s series, A Haunting as well. I bring theological expertise to the enterprise, as a person with two masters’ degrees in theology. And I’ve been working around music and the record industry all my life as a veteran Rock D.J. So with this book, when we discovered that Amazon was allowing independent publication with Kindle, we knew instantly it was the way to go — and the way of the future of books. Eddie has been with record companies and has put out music as an Indie artist. Now he’s with NuGroove Records, but has a real soft spot for Indies. Same with books — the Kindle publication allowed us to get the book out when WE wanted it out, without waiting. Anyone who’s published traditionally knows there’s first the shopping of the book, which can take a long time, then there’s the publisher’s seasonal schedule of books. It can take a year or two for a book to get published after acceptance. With Kindle, we can get the book out, and still seek brick and mortar publication at the same time. No. We went right to publication, and will do the traditional seeking conversely. Freedom, timeliness, and control over the book. Sure! It would be foolish not to do both. What author doesn’t want their books also available in bookstores? Eddie designed the cover art. The model on the cover is actually his 16 year old daughter, Tiara, who herself is a photographer. And she is going to school now to be a recording engineer. She’s the “angel” on the stage on the cover. The graphic artist was Eddie and photoshop. Well it’s not my first book, and not Eddie’s first creation since he’s had albums out. It is a good feeling. Sales so far are ok, but we are looking into ways to seriously promote the book. We have a Facebook page for the book. I twitter about it often. I also write as a columnist for Examiner.com and have been able to write about the book there, which is a national news site. Not yet. We will get it on iPad though. We are working on another book as co-authors already — stay tuned. It’s paranormal, it’s about things like exorcism and who’s who in the psychic world, and who’s real. Thanks for the opportunity to tell you about our experience with Kindle. 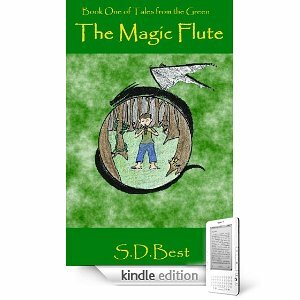 Towards the end of college I got the idea in my head to write a book, an epic fantasy that would define my career forever. It sucked. I had never written anything over 5,000 words before, and even though each time I started over I did better the fact remained that I was starting over a lot. When I graduated I decided I needed a new project to work on. Deciding that my original idea was far too much for me to juggle as an inexperienced novelist I opted for a simpler fantasy scenario, i.e. human child gets taken to a magical world. Yes, we all know it’s been done before, but the benefit of cliché is that it gives you a base to get started. The ironic part is that once I got going Tales from the Green became more complicated than my original unnamed story. I sent out emails to four or five agencies and checked out the websites of many more before deciding to go the self publishing route. I really didn’t try very hard, to be honest. 1) Write something much more mainstream and try to get that published, and then use that credibility to get my Tales from the Green series through the door. 2) Try to get short stories published in magazines and win contests to build a reputation so that an agent would be more likely to actually read my proposal. 3) Self-publish and let the readers decide whether they liked me or not. Being a fairly impatient person who didn’t want to wait years before my first book ever saw the light of day, I opted for #3. Yes, I definitely plan on it. It’s the indie author’s dream to get a contract, isn’t it? I would like to finish my fantasy series and present it to agents and publishers as a complete piece, complete with sales data and hopefully some good reviews. I do all my own covers, the layout, the artwork, everything. Of course, there’s a reason why I write novels instead of comics. I hope more people find them quaint and endearing rather than sloppy and childish. I got my first sale within hours of my book going live on Amazon. I was so excited that a complete stranger actually paid money for something that I wrote. I saved a screenshot of my Amazon DTP transaction page showing that first copy sold. So far sales have been going well, at least by my standards. I’ve gone from coffee money to fast food money. May has seen me sell four times as many copies as I sold in March or April, so hopefully as word gets out that upward trend will continue. My main outreach is through Kindleboards.com and MobileRead.com, where you will see me as Greenkeeper. 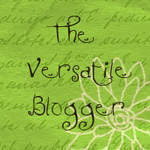 I also keep a blog about my writing at http://sdbest.blogspot.com. I generally don’t Tweet and I rarely check my personal Facebook page, let alone feel the desire to make one for my books. My computer time is limited due to my loveable and time consuming baby daughter, so if I’m at the keyboard I’d rather be writing. For those who don’t have a Kindle or who prefer DRM free downloads, both my books are available at Smashwords.com. I plan to have The Tainted Sliver, the third book of the Tales from the Green series, done by the end of this year. From there I may try for another genre since I’ve been writing fantasy for several years now. The first book of significant length I wrote was in my senior year of high school. My Creative Writing teacher reserved the computer lab every day for an hour, so our assignment for the class was just to write something. It didn’t matter what, or how lengthy, just as long as you were writing. Complete freedom to write what I wanted? I was beyond excited. I started out with a single short story of about 10,000 words about a shadow monster guarding a mine filled with gold. I wrote a sequel, then another, adding paladins, demons, elves, giant battles, until I ended up with a 120,000-word collection titled The Fall of the Citadel. It’s still in a shoebox in my bedroom in all its novice glory. Only once, and in hindsight, the book was nowhere near good enough for me to send it out. For the most part, I had this giant story I wanted to tell, and until it was done, I didn’t want to try shipping it out and spend the copious amount of hours required to edit and rewrite them into a semblance of acceptable form. It boiled down to me preferring to spend my time writing new material instead of dwelling on the old. Obviously, this caused me to neglect one of the major aspects of the writing craft. Looking back, I can see just how badly it stunted my growth. I bought my wife a Kindle for Christmas. Between the two of us, we were reading so much more than we had in months. I’d devour a book a week, while my wife sometimes two or three. For the longest of time I was a skeptic of ebooks and ereaders, but after a single month, I was a complete convert. When I researched into the market, I saw how undeveloped it still was. I was convinced (and still am) that a huge explosion would soon take place. By this point, I had four books finished out of the five total for my series. While not completely done, I was close enough to know that I couldn’t hold on to any “I need to finish it first” excuses anymore. The Kindle market would soon explode, and I would kick myself for the rest of my life if I didn’t at least try to take advantage of it. I found a guy named Peter Ortiz to draw me a cover for the first book and then, without telling any of my friends or family, fanatically edited The Weight of Blood and published it on the Kindle. That final moment was horrifying, an all or nothing feeling. I am so thankful now that I didn’t lose my nerve. If it happens, it happens. I want to try and get all five books of the series out for sale first. If I somehow never finished the entire series, I’d feel horrible for abandoning the readers I’ve collected. I sent Peter a detailed description of what I wanted the scene to be. At the same time, I purposefully left many things vague, trusting Peter to fill in the blanks in a way that looked best. In other words, I told him the two brothers were about to assault a camp of soldiers. I didn’t tell him I wanted the half-orcs with their backs to trees, which way their heads should be tilted, or any nitpicky stuff like that. I let him make me a good picture, and he rewarded that trust back tenfold. Surreal. My wife was standing beside me when I checked and saw the very first one. “You realize someone you don’t know is reading your story, right?” she asked me. It hadn’t hit me until then, and that feeling was both exciting and horrifying. Since then I’ve had over 700 free downloads of my first book on Smashwords, an unknown amount on the iBookstore, plus 800 more sales on Kindle. I know there’s other indie authors pulling that in a week, but I’m more than excited by the numbers, especially for having only had my two books out for four months and two months, respectively. I’m active on the Kindleboards…and that’s pretty much it. Still in the process for setting up a website, and I’ll probably make a facebook page devoted to the books at some point. My books are also for sale at Smashwords and the iBookstore. 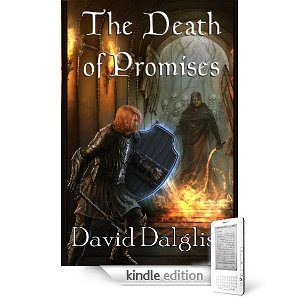 I have recently released the third book in my series, The Death of Promises. Now I’ve got a stand-alone novel about halfway written called A Dance of Cloaks. It takes place in the same world as my Half-Orc Series, detailing the early history of Haern and the Eschaton mercenaries. Thanks for the interview. Hopefully I didn't bore people too badly. No, I wanted this to be my project from the beginning. The option and ease of self-publishing of the modern age is going to revolutionize the industry, and I wanted to be a part of it. I didn’t want to put my characters and my story in the hands of others. Mainly the simplicity, the time, and the rights. It was so easy to get everything ready after the editing of my story. I didn’t have to wait 3 months after sending a query letter to wait another 6 after sending my first 30 pages, to wait another year after they get the first manuscript. And although I have to do everything from promotion to marketing, I love the fact that I own every piece of my story. No, I will be looking towards selling my screenplay to a studio, but I think self-publishing is the way to go. If I received an offer from a publishing house for only the printing rights, I would consider it, but no, I won’t put any effort into procuring such things. I actually created the cover on accident. I was trying to figure out what my description of the demon’s eyes looked like and I made that oil painting, and once I saw it on the cover I knew it was it. 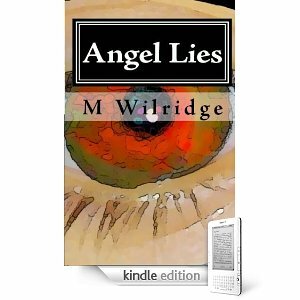 I bought five proofs and I put four of them on sale at my website (Angel-lies.com) the first day I received them. They sold in 15 minutes. My email is connected to my phone and I remember the chill up my back as the chime sounded off sale after sale, until I had nothing left to give. I have my own website(www.Angel-Lies.com) and a facebook page that I just started and haven’t really been working on. 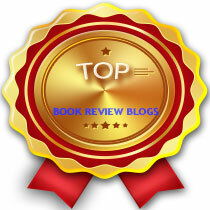 I am an avid writer/reader at Fictionpress.com, the best online writers group out there. I am about to put it on Smashword in digital form. It is available in print, from a number of different places including Barnes and Noble. I am currently underway on Angel Lies 2 and I am completing “The Actor”, or at least trying to complete it. Angel Lies has completely taken me in. I never expected anything to put “The Actor” on the back burner, but I just can’t escape this world. Hopefully my readers will share my enthusiasm. Next up in my author interview series is Anne Brooke. Anne's books are available on here website, http://www.annebrooke.com/ and at http://www.untreedreads.com/. My first novel was a gay romantic story about friends and family called The Hit List. I started writing it in Y2K as the poetry I’d written for years had temporarily dried up and I was desperate for some kind of literary outlet. Once I’d started, I found myself getting really involved with the characters and the story and then couldn’t stop. It was also a huge learning curve as I’d never really written fiction before! I ended up self-publishing the novel in 2004 in a limited format and selling copies locally, but actually I wasn’t happy with the way the story had ended up so I took it off the market. Last year I substantially rewrote it and it was published by Amber Allure Press in the States earlier this year. So it’s been ten years of journey for that novel, in real terms! My genres are fairly wide-ranging. In terms of novels, I’ve written four psychological thrillers (three gay and one (female) bisexual) and two romantic comedies (one gay and one with gay secondary characters). I’m also writing an SF trilogy, the first of which has just been taken on by Bluewood Publishing in New Zealand. My short story interests are also very catholic as I write literary stories and biblical stories, some of which I’m lucky enough to have published with Untreed Reads. I also write gay and some lesbian short stories, which sometimes get taken on by one of my two US gay fiction publishers, Amber Allure or Torquere Press. And, actually, Untreed Reads have just taken on my comic SF story, Creative Accountancy for Beginners, for their new Orbis line, so I’m thrilled about that! Oh, and I also write poetry, some of which is published in various small online and print magazines. I did query them at the beginning, but soon found out the very hard and painful way that my work is best suited to small independent publishers. I had an agent for a while, who offered to represent me for my crime and fantasy books, having read one of my gay crime thrillers, but in the end he couldn’t get me any deal. And actually I found my own publishers for the books he had, so we parted company amicably last year. Jay Hartman of Untreed Reads had previously read one of my psychological thrillers, Thorn in the Flesh, and was very complimentary about it. When I heard he’d started his own e-publishing company I jumped at the chance to submit one of my short stories, which he accepted, and our literary dealings have grown since then! At the moment of writing, Untreed Reads carry four of my short stories: How to Eat Fruit, The Girl in the Painting, Dancing with Lions and The Secret Thoughts of Leaves. The fifth and SF story has still to be published and I’m certainly looking forward to it. I was very much involved with the cover art for How to Eat Fruit as I sourced the wonderful photograph on the front myself and then handed it to Jay to be made into a book cover via his artist. I was very happy indeed with the results. The other covers with Untreed Reads have all been designed by the publisher’s own artist and I’m very happy with them too! For most of the other publishers I write for, I offer my thoughts when asked and then, somehow, these get transformed into some fantastic covers – so I’ve really been very lucky! Astonished. I could hardly believe it! I had to get my husband to read the letter to me as I’d struggled for so many years before a publisher actually said yes that I thought I’d never get to that point. I also don’t think you ever lose that thrill when you get an acceptance, no matter how long you’ve been writing and submitting work. It’s always a real buzz. I do love the web! I’m on Twitter at https://twitter.com/AnneBrooke and Facebook at http://www.facebook.com/annebrooke . 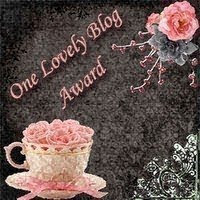 I also have a Facebook fan page at http://www.facebook.com/pages/Anne-Brooke/97047896458 and I regularly update my blog at http://annebrooke.blogspot.com . So I suppose you could say I was a bit addicted really! The web’s a great place to be. I think digital publishing is fabulous and bring it on. Anything that allows more books to be available gets my vote, big-time, and anything that achieves that in an environmentally friendly way even more so. I don’t think it will replace traditional publishing, at least not in the foreseeable future, but it will certainly be a worthy stable-mate for it, which is great news for everyone. And, on a personal level, I’ve earned more royalties from my eBooks in the last year alone than I’ve ever made on my traditionally produced books, so I’m certainly not complaining. Huge thanks to those readers who have bought them – it’s much appreciated! As I say, I’m looking forward to the publication of Creative Accountancy for Beginners with Untreed Reads. Plus my gay psychological thriller, A Dangerous Man, is being republished by Cheyenne Publishing and Bristlecone Pine Press in paperback and eBook versions in the States on 15 October, so I’m very excited about that. Meanwhile, the first of my fantasy trilogy, The Gifting, will be published by Bluewood Publishing in New Zealand either late 2010 or in 2011. And I’m continuing to write the conclusion of that fantasy series, as well as more stories for my various publishers, including Untreed Reads. So I keep busy, that’s for sure! Do We Give Up on Ourselves too Easily? What's your favorite part of writing a novel?